Personalized Tax and Accounting Services. Your problems solved. Matt is a solution-focused thinker. He has built his CPA business to focus on the tax and accounting needs of small businesses and individuals in Montrose, CO and surrounding areas. Matt offers a vast array of tax and accounting services for small businesses and individuals. His CPA services will automate your business needs and solve your problems. Schedule an appointment and let’s get started with your Business Taxes, Individual Taxes, Business Consulting, Payroll, Accounting/Bookkeeping, or Quickbooks Support. A trusted business advisor who will implement a strategy for peak performance. Matt Calhoun, CPA, LLC will use their expertise to provide you quality and valuable accounting services. Matt Calhoun, CPA, LLC focuses on the needs of a small business and individuals. 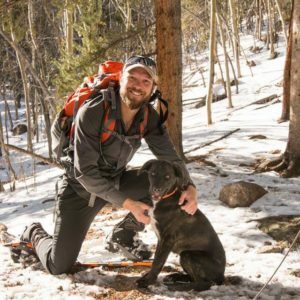 Located in Montrose, Colorado, Matt Calhoun has the local knowledge to benefit his clients so they can keep more money. QUESTIONS ABOUT TAX AND ACCOUNTING? Matt Calhoun, CPA, LLC is an accountant located in Montrose, Colorado providing Business tax, Individual tax, Business consulting, Payroll, Accounting, Bookkeeping, and QuickBooks services to the Western Slope and beyond. My goal here at Matt Calhoun, CPA, LLC is to be your trusted business advisor. I’ll take the time to understand your accounting and tax needs and implement a strategy to ensure that your business’s finances are operating at peak performance. and find out how our small business can compliment your small business.